Today Eddystone Media is celebrating its 4th Birthday! It seems that February and March are without a doubt our most productive months. 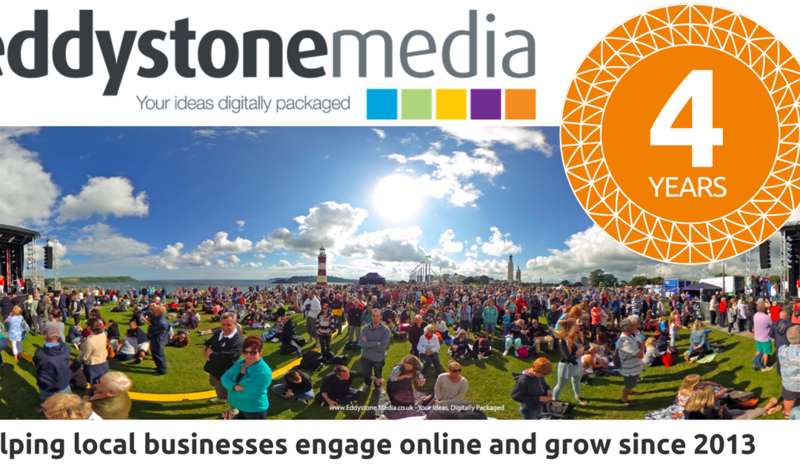 All of our Community Networks have recently celebrated their anniversaries of promoting Plymouth both online and on the ground and now it’s time for Eddystone Media. The owner – Scott Grenney himself is just a few months short from celebrating a milestone 20 years in web design and content writing. Eddystone Media was created as a result of our work with local businesses and a rapid increase in demand for services in digital media. We would like to thank all of our fantastic clients, past and present, for their continuous support and recommendations.